A few years back my work began a lot of internal changes. First it was an "alignment", then a "functional review" and after that a couple of "restructures". When it started we all had to do change management training and I attended about four sessions. 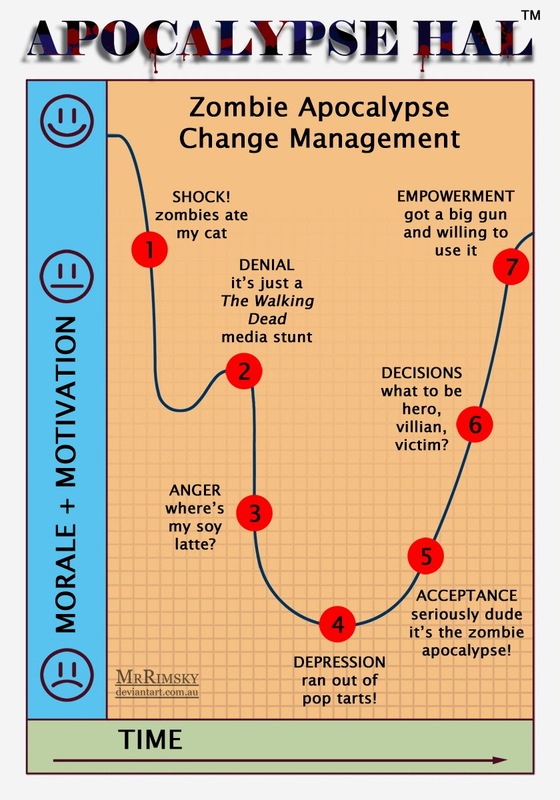 At every one they showed a change management diagram which basically stated that staff were going to get pissed off and then finally accept the changes. Finally I have found a use for that diagram. I present the seven stages of the zombie apocalypse. If you ever reach stage seven, congratulations. You'll be part of the five percent of the population still left alive. Party on!